What makes your life more colorful? 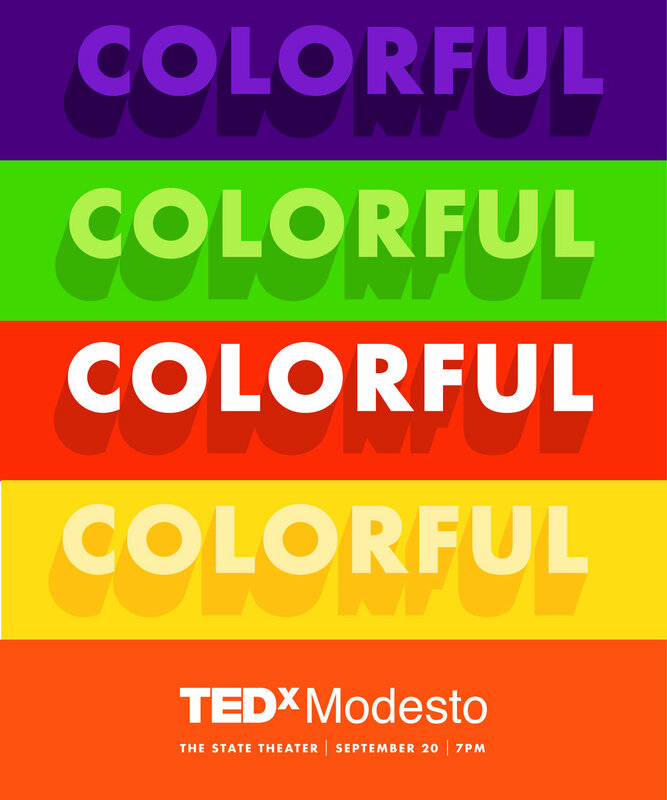 This year the theme of TEDxModesto will revolve around ideas that help create a more colorful world! This is Modesto's second annual TEDx event, featuring speakers with a wide range of topics; all of which have the potential to lift up the individuals they reach, and by extension, the greater community. The Talks will be streamed online for a wider local and international audience. Tickets: Tickets are $30 or $15 for students or educators with ID (available to purchase at the box office only). Visit the TEDxModesto website for further information. In the spirit of ideas worth spreading, TED has created a program called TEDx. TEDx is a program of local, self-organized events that bring people together to share a TED-like experience. Our event is called TEDxModesto, where x = independently organized TED event. At our TEDxModesto event, TEDTalks video and live speakers will combine to spark deep discussion and connection in a small group. The TED Conference provides general guidance for the TEDx program, but individual TEDx events, including ours, are self-organized.